These ultra-lightweight Engraved Aluminum Slanted Stirrups are uniquely designed for knee strain relief. 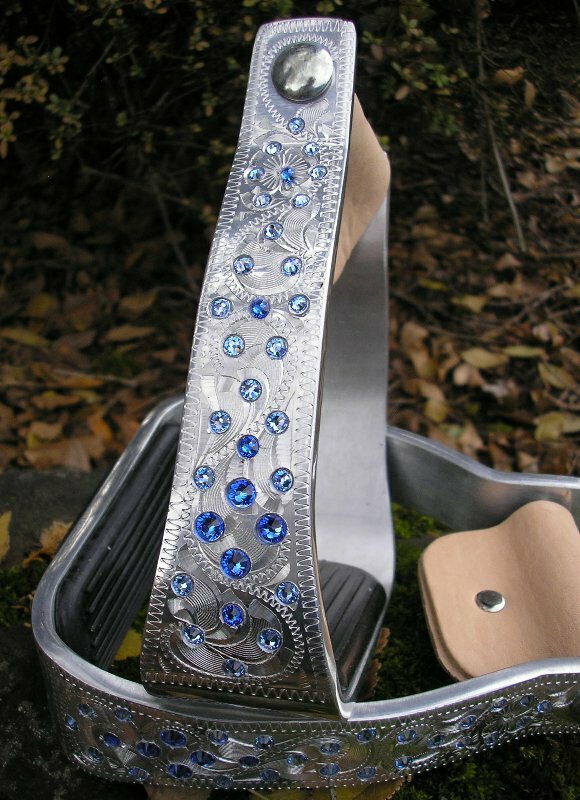 They feature a beautiful engraved aluminum and comfortable 2” rubber tread to help give you security and comfort in the saddle. 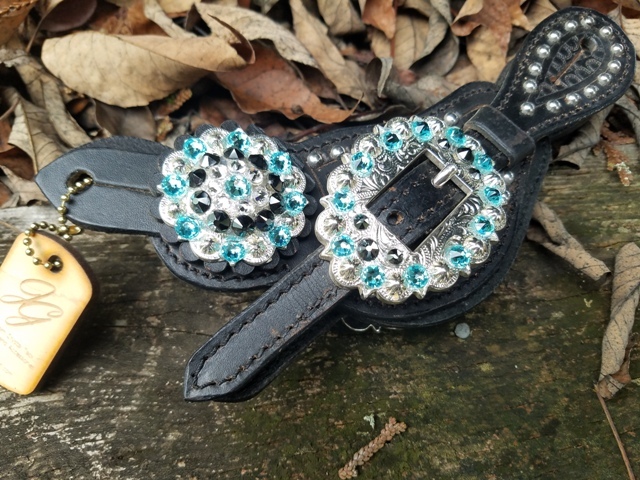 Spurs ~ Inset Crystal Spurs ~ Choose your Crystal Colors!